Since The Iron Yard first announced their Las Vegas campus, the team has been hard at work contributing tremendous value to the #VegasTech community. From launching Iron Yard Ventures to impacting the lives of graduates, The Iron Yard is working directly with Zappos, the Downtown Project, VTF Capital, and The Mill Accelerator Program to bring tech education to the robust ecosystem thriving in Las Vegas. Dedicated and passionate instructors are leading The Iron Yard’s impact on the community. The Iron Yard approached Newburn to be an instructor when the Las Vegas campus opened. When they asked him if he knew anyone who would be interested in teaching Front End, he asked Sweeney if he would be interested. “It’s a huge passion of mine and I just couldn’t turn it down. My dream job became a reality,” said Sweeney. 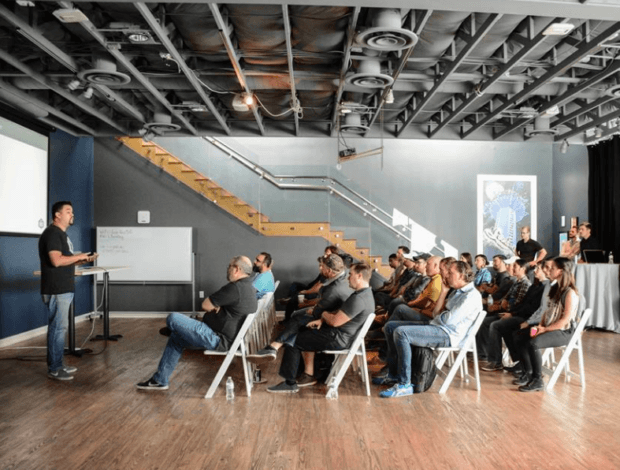 The Iron Yard launched free, community focused crash courses in Las Vegas to have an impact in their mission to spread the feeling of community in Las Vegas. Sweeney said the team at The Iron Yard has tried to create a place where not only program students come, but the community enjoys hanging out as well. Company-wide, Sweeney said The Iron Yard is extremely dedicated to the idea that they are there to support program students, not only while they’re taking a class, but for the entirety of their career that follows. Domingo Rosa recently echoed this sentiment – and how it has impacted his own career. 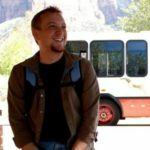 Interested in taking a crash course, for free, from Sweeney? The next course is happening July 7, 2016 and you’re invited. Sweeney said he greatly enjoys his role at The Iron Yard. Instructors at The Iron Yard, he said, are getting treated the way teachers should be treated. Instructors receive support without being micromanaged. Get to know other community members who call Las Vegas home! Read stories about how they are impacting the Las Vegas community each day.